Though no official reason has been cited for the removal, SP leaders said the Chief Minister was "unhappy" with Yadav for facilitating the controversial merger of QED with SP. Uttar Pradesh Cabinet Minister Balram Yadav was on Tuesday sacked by Chief Minister Akhilesh Yadav, apparently for facilitating merger of Quami Ekta Dal (QED) of gangster-turned-politician Mukhtar Ansari with the ruling Samajwadi Party. “Balram Yadav, holding charge of Secondary Education ministry, has been removed (from the Council of Ministers) by the Chief Minister,” a senior official said. Though no official reason has been cited for the removal, SP leaders said the Chief Minister was “unhappy” with Yadav for facilitating the controversial merger of QED with SP. 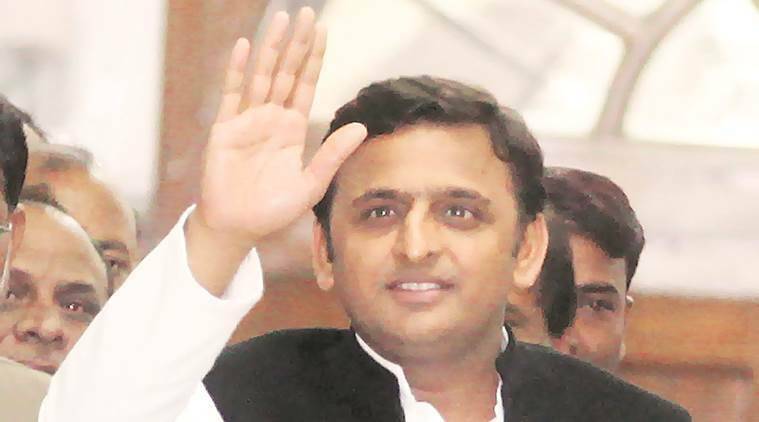 The merger was announced earlier in the day by SP spokesman and senior Cabinet Minister Shipal Yadav, who is brother of Akhilesh’s father and party chief Mulayam Singh Yadav. “QED is today merging with SP which would strengthen the party,” Shivpal said at a press conference jointly addressed by Mukhtar Ansari’s brother Afzal Ansari. Interestingly, Shivpal suggested that Mukhtar, the jailed MLA of QED, was not among those who had joined SP. “At present only those here are joining SP. We did not have any talk with Mukthar,” he said in reply to a question. is in jail for his alleged involvement in the murder of former BJP MLA Krishnanand Rai. Akhilesh, who was in Jaunpur, was asked by mediapersons to comment on the merger. He evaded a direct reply and merely said, “If party workers perform their responsibilities, then there was no need of another party,” an apparent indication of disapproval of the merger. which has often been accused of protecting hooligans. “This is nothing new. Samajwadi Party is trying all means to get back to power in the next elections,” BJP leader Vijay Bahadur Pathak said. In a similar refrain, Congress spokesman DP Singh said the merger shows “growing frustration” within the ruling party which is trying all “fair and foul means to retain power by hook or by crook”. Opposition parties have targeted Akhilesh on several occasions for patronising ‘goonda raj’ in the state. However, sources close to Balram Yadav said his son will be given place in Akhilesh Yadav ministry as state minister soon.